Line a baking sheet with waxed paper. Using a fork, dip balls into chocolate mixture, allowing excess chocolate mixture to drip back into saucepan. 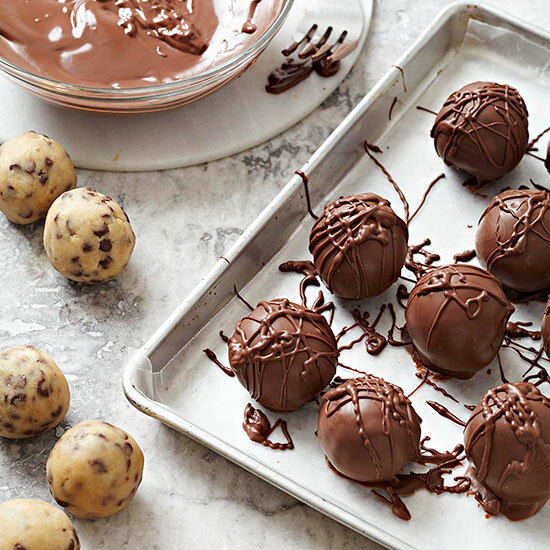 Place dipped balls on the baking sheet. Let stand or chill about 30 minutes or until set. Lightly drizzle with the remaining melted chocolate mixture.